The Reformation was portrayed as a spiritual movement, it contained strong political elements that supported the process of change from the medieval feudal system to the modern state. This is a topic suggestion on The Reformation from Paper Masters. Use this topic or order a custom research paper, written exactly how you need it to be. Although the Reformation was portrayed as a spiritual movement, it contained strong political elements that supported the process of change from the medieval feudal system to the modern state. One of the primary concerns of monarchs, princes and other regional leaders during the Reformation was the reduction in temporal power of the Church of Rome, which had in many respects operated as a theocracy in Europe during the medieval period. At the same time, the general populace desired a degree of relief from the abuses of practices such as simony that had become institutionalized in religious practice during the Middle Ages. Because the Church of Rome vigorously persecuted purely spiritual reformers such as the Florentine Savanarola as heretics, an effective religious reformer such as Martin Luther required the protection of a temporal power to prevent summary judgment under prevailing canon law. The appeal to the protection of temporal authority can be seen in the essay Against the Peasants, published in 1525. While the body of the treatise deals with doctrinal issues that were at variance with the doctrine of the Church of Rome, end calls for temporal authority to exercise fairness of the doctrine of the state to the peasants. To curry the state’s favor he engages in a call to action for the sake of diplomacy. “I will not oppose a ruler who, even though he does not tolerate the gospel, will smite and punish these peasants without first offering to submit the case to judgment”. 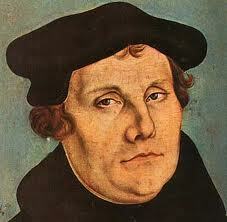 Paper Masters writes custom research papers on Reformation and examine the reduction of power for the Church of Rome.